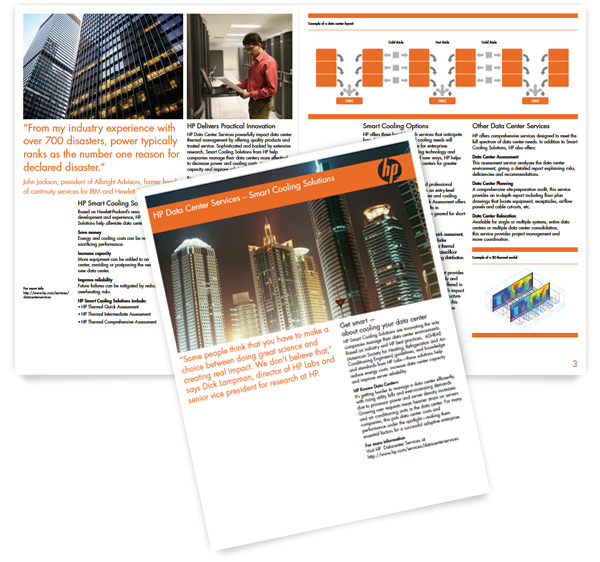 HP | Graphic Design, Website Design, Brand Identity | JOD, a graphic design co.
JOD had the opportunity to work with Connected Marketing designing a variety of communication pieces for HP’s Data Center Services and Executive Briefing Center. 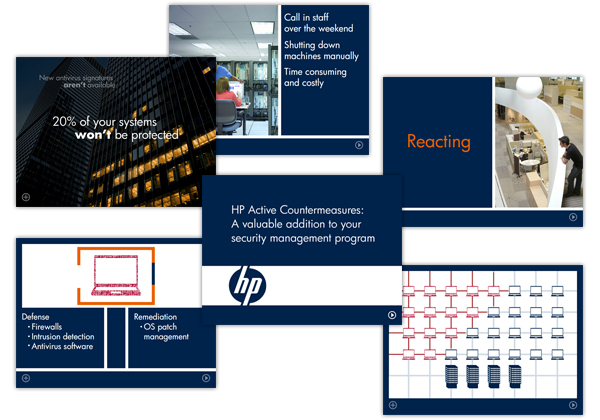 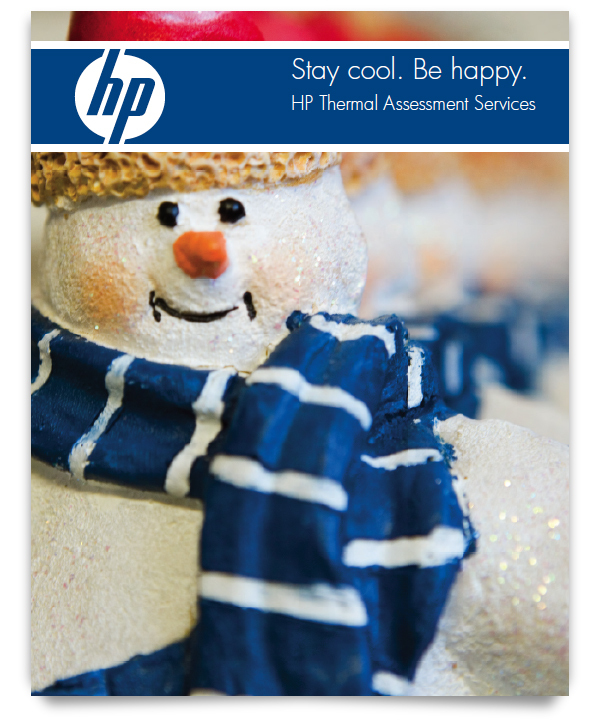 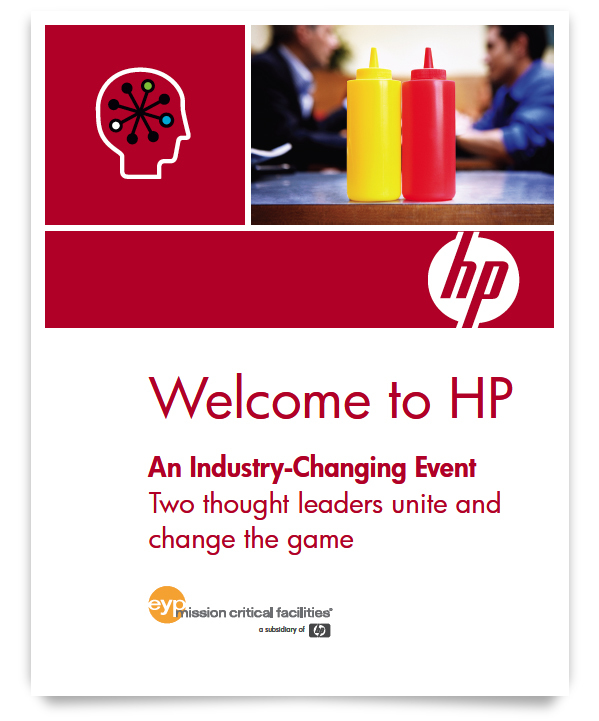 We designed collateral, presentations and posters using HP’s One Voice 2 brand identity system. 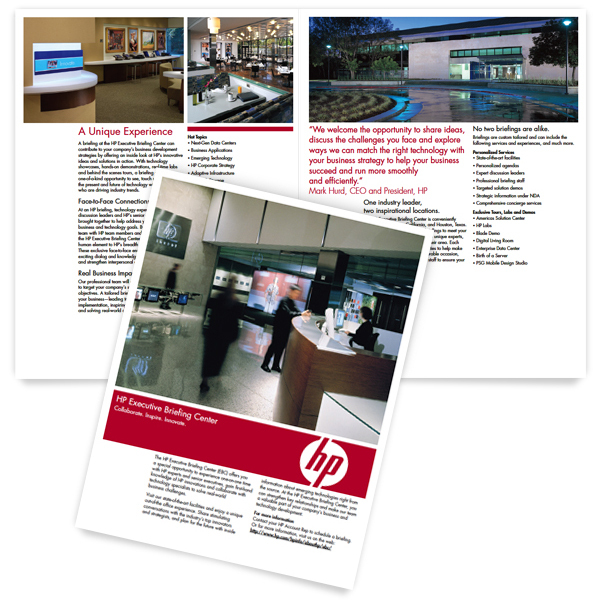 One Voice 2 was one of the most successful and comprehensive brand identity programs ever launched by a Fortune 10 company.